ETHER Conservation is a business unit of The ETHER Initiative and it is focused on providing a wide range of conservation materials and equipment, as well as providing the right advice on effective conservation for all types of needs. ETHER have established a local agency of Conservation By Design (CXD) of the UK, who provide a vast range of conservation materials and equipment, and who have many of the the world’s top museums as their regular clients. CXD have recently purchased Stouls of France, and the Stouls catalogue has been added to the CXD catalogue, and offer an end-to-end range of products to support heritage institutions. It is our mission to provide these high-quality products to South African institutions and to ensure that we can advise on the right mix of products to meet your needs and your budgets. 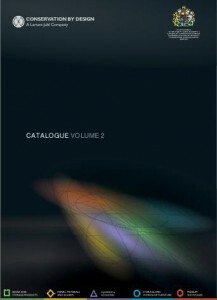 You download the latest CXD catalogue from the following image below (NOTE: this is 36MB in size). 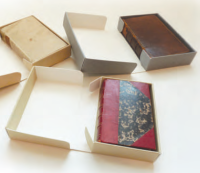 Please send us your needs for conservation material needs and we will offer suggestions and quotations. To order we will prepare a ProForma invoice which is subject to exchange rate fluctuations and to shipping costs, and we are generally able to deliver within 15-30 days. ETHER Conservation is run by Sholeen Sanker, and we would greatly appreciate any requests you may have in terms of your conservation needs. The Tips and Tricks Blog is dedicated to providing simple and easy information that will be beneficial to the storage of artefacts, storage locations, archives, libraries and other heritage institutions. A new tip will be posted at the beginning of each week and will be display on the home page. You are welcome to leave your own comments or provide alternative methods to the information provided. For the full list of tips and tricks click the heading.